I received a custom order request where a interested client sent me a photo of aqua blue sequins fabric and described how they wanted them to look. I found the fabric at a local fabric store next day and had them made in one day, and shipped to Singapore the next. 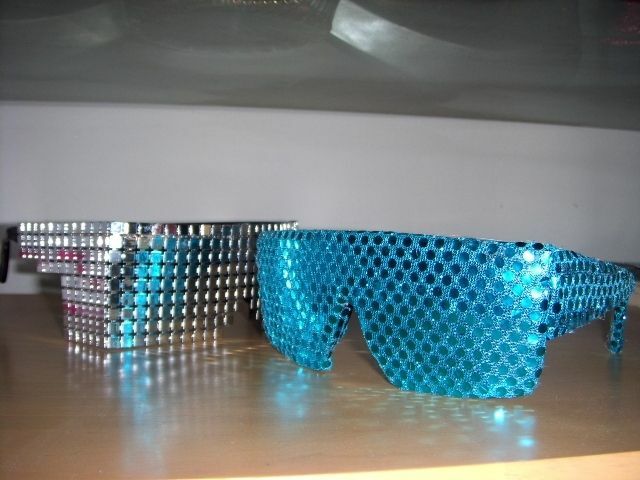 The client also bought a pair of shades from my shop that was very similar to the custom design they requested. We kept in contact every other day during the production stage.